INTRAcel is a high tech skin rejuvenation treatment that targets collagen production to firm, smooth and tighten your skin. The treatment is rather like a non surgical facelift and can combat the signs of ageing, delaying the need for more intrusive facial surgery. It combines radio frequency technology, microneedling and fractional treatments, all in one simple procedure. Together, these technologies deliver impressive anti-ageing results without any of the downtime associated with some of the more invasive options. INTRAcel is a revolutionary treatment using tiny insulated micro needles which, unlike laser procedures or surgery, protects the surface of the skin from damage. Treatments are targeted at variable depths below the skin surface, meaning that healthy skin is left undamaged causing minimal pain and discomfort. INTRAcel is suitable for anyone concerned about loss of skin firmness, lines and wrinkles, acne or stretch mark scars and open pores. After just one treatment the skin is stimulated to produce more collagen and visible results will start to appear after two or more visits to the clinic. 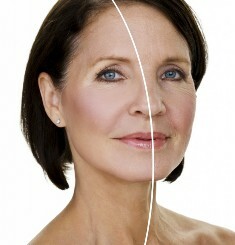 INTRAcel is the ultimate skin rejuvenation solution from a single system. It can even target the skin around the delicate eye area to tackle crow’s feet and it will firm and tighten the skin around typical problem areas like the neck and jawline. Skin looks firmer, smoother, more luminous and youthful. Why not make an appointment and come and have a chat?